Tagline The new essence of Joy. Package Designer The bottle is designed to resemble a rain drop. 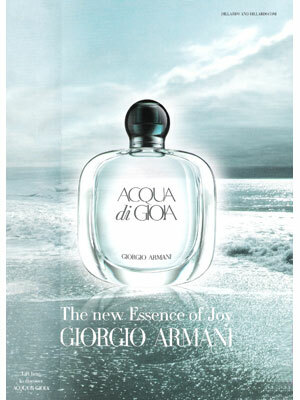 Acqua di Gioia, the new essence of joy. A hymn to nature in all its forms. 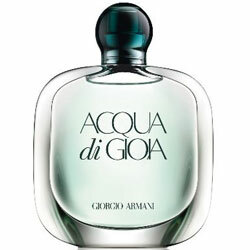 A clean, incredibly fresh aquatic scent that is ultra-approachable, yet memorable. Features crushed mint, pink pepper, brown sugar, and aquatic jasmine to capture the essence of "Joy." 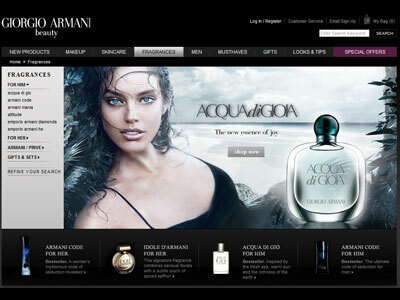 If you live for the beach - Pick a fragrance with pink pepper, coconut, mint, orange flower, pina colada, or pineapple.